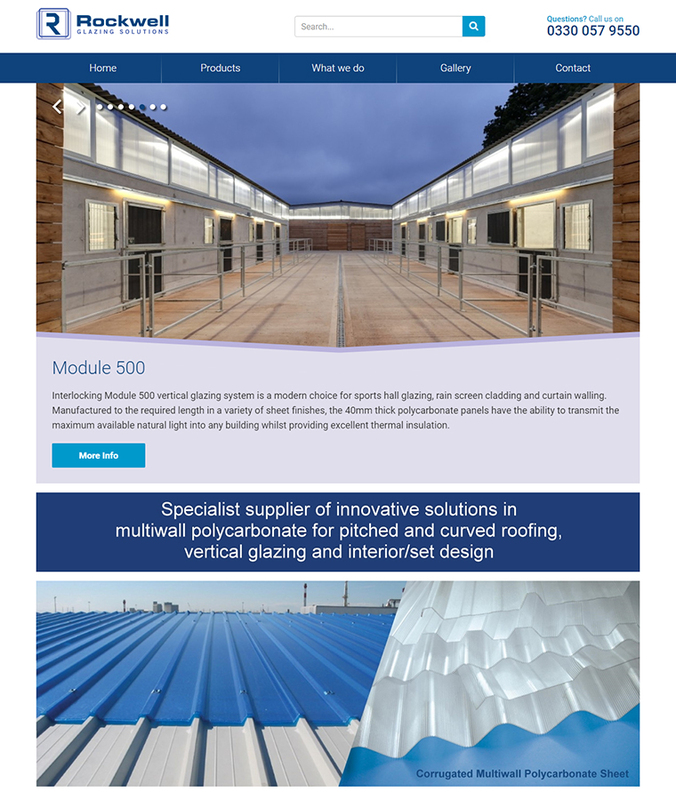 Rockwell Glazing Solutions supplies construction companies with a huge range of specialist roofing and flooring materials. With this great looking website design the products themselves take the centre stage and immediately inform visitors of the company specializes in. Nowadays every construction or building supplies company will have invested in some kind of web design. With competition fierce, and with both commercial and domestic customers doing their research on-line to find the best companies to approach, having an excellent website is essential. Each website that you visit will provide you with an overall impression of the company in question. The majority of construction companies know this full well, and will have ensured that their websites reflect their businesses to their best advantage. We’d be delighted to provide you with a free web design quote. Call us today on 416 256 7800, or fill in the form below and we’ll contact you!